Let's face it. We aren't getting any younger. Whether you're inching your way closer to 30 or past it decades ago, anti-aging is something we all worry about. There are millions of options available to help prevent the signs of aging, from botox to anti-wrinkle creams. But there are also more new age solutions like herbal supplements that promote healthy aging, instead of trying to stop the clock altogether. How would you like to try Pomology Anti Aging Dietary Supplements for yourself? One winner will receive a free bottle. To enter, please visit Pomology and tell me something you learned. For additional entries you can follow Pomology on twitter and/or become their fan on face book. These will be the only entries for this one. Giveaway is open to USA only and will end on 6/13/10. chemical-based methods to extract the compounds intact. 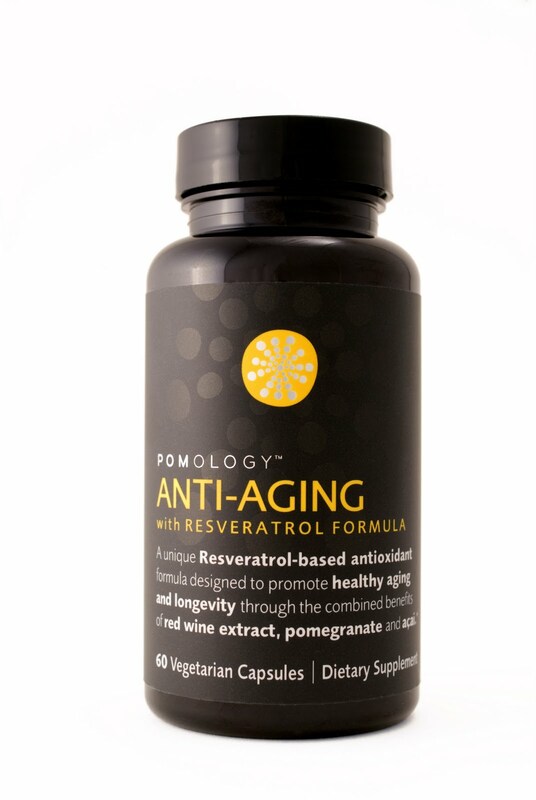 "Designed specifically to promote healthy aging and longevity, Pomology Anti-Aging delivers a highly absorbable grade of resveratrol for maximum impact." I would love to add to my diet! I learned that just two capsules of Pomology Anti-Aging every day provide you with the resveratrol and antioxidants contained in 80 glasses of red wine. I learned that Bullwater Health & Fitness, the company that makes Pomology, purchases renewable energy credits from wind farms to offset 100% of the electricity used in their offices and in the manufacture of all Pomology products. I'm following pomologist on Twitter (@neverdene).